Traditional medical education with a time-based emphasis has been shown to result in gaps in competence of medical students and residents [Chen], [Crosson], [Mattar]. 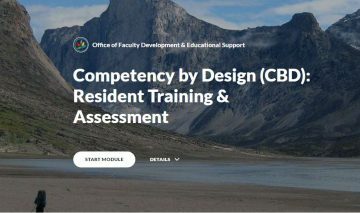 CBME is a framework of education which focuses on both the process & outcomes of training. Programs may respond to residents in difficulty with increased support or time, limited opportunity to facilitate enhanced learning for exceptional residents More responsive educational construct to fit each resident’s unique educational trajectory.Traditional medical education with a time-based emphasis has been shown to result in gaps in competence of medical students and residents [Chen], [Crosson], [Mattar]. 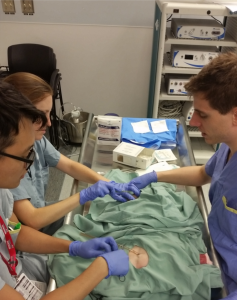 is the Royal College’s initiative to incorporate CBME into specialty education. CBD incorporates frequent observations and coaching [operationalized by assessment of Entrustable Professional Activities (EPA’s)] specific to stages of residency, Required Training Experiences (RTE’s) as well as other supporting documentation (e.g. exams). 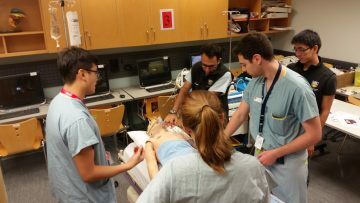 The College of Family Physicians of Canada’s (CFPC) Triple C CBME Curriculum was implemented at UBC in 2012. The curriculum is based on principles of comprehensive care, continuity of education and patient care, and Family Medicine-centered. July 1, 2018, CBD is set to launch for Emergency Medicine, Medical Oncology, Nephrology – Adult, Nephrology – Pediatrics, Surgical Foundations and Urology. The CBD Discipline Launch Schedule by Year can be found here. Dr. Butterworth took on the role of CBME Lead in Spring 2017. She completed Undergrad, General Surgery and Pediatric Surgery training at UBC. She has had roles as the Associate Program Director in General Surgery, the Program Director for Pediatric Surgery and the Program Director for Surgical Foundations. She also served as co-Lead Simulation for PGME. Eleni has joined the CBME team from the Department of Surgery where she worked for 7 years as the Program Manager and prior to that, Vancouver Coastal Health for 13 years. She brings direct knowledge of the workings of a postgraduate program and will be working to help guide and support each of the Royal College programs in their CBME rollout over the next several years. Regehr G. What does the College Want from Us Now? Peeking Behind the Curtain of Competency-based Medical Education. UBC Department of Surgery Grand Rounds. April 19, 2017.